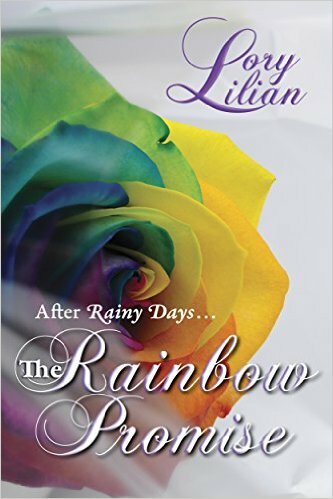 I heard about the making of The Rainbow Promise last year and I knew it was a much expected sequel of Rainy Days by Lory Lilian. I knew that if everyone was eagerly waiting for the sequel to come out it the original story had to be remarkable, so I decided to read Rainy Days to be prepared for the sequel that would be released in the upcoming months, and obviously, I finally understood what all the fuss was about! Rainy Days is indeed a wonderful book, and when I finished reading it I was amongst those who could not wait to read The Rainbow Promise! To increase my eagerness, Lory Lilian shared with me this enticing excerpt that I am now sharing with you. Along with it, she brings a giveaway, so if like me you haven’t read the book, you have now another opportunity to satisfy your curiosity and to win a copy of it! For Darcy, the ball was equally boring and distressing. Not fond of large gatherings, he found few moments of entertainment. He managed to avoid dancing, as there were enough young gentlemen willing to enjoy the music and the ladies’ company. The notion that Elizabeth was asked for almost every set he accepted with petulance. The custom to not dance with one’s own wife yet allowed other men to dance with another’s wife he found ridiculous and unacceptable. He briefly decided to reject that idea at any future balls—if they ever attended again. Then he remembered Lady Matlock’s insistence on introducing Elizabeth to Almack’s balls, and he realised any attempt to ruin his aunt’s plans would start a war worse than Napoleon’s, and he did not have the least chance of winning it. He then admitted himself defeated and found solace in admiring his wife: her beauty, her dancing skills, her smiles, her eyes searching for him around the room, her most becoming blushes, and the small gesture of biting her lower lip when she was distressed by something. He could easily see that many other men were gazing at her, yet he knew she hardly saw anyone but him—just as her image was the only thing in his mind and heart. A gripping longing for her—for touching her, kissing her, caressing her, loving her—slowly grew inside him, and he was painfully counting every moment until the ball was over and he would have her in his arms. When the last set started, Darcy glanced around the impressive room; most of the people appeared preoccupied to finish their conversations and only a few couples occupied the dance floor. He took his wife’s hand and caressed it briefly. Her face showed disbelief, quickly overcome by genuine delight. “As Lady Matlock repeated many times, dancing with one’s own wife is very unfashionable. Surely you do not consider breaching propriety in public,” she whispered and he could not keep his eyes away from her lips. Many pairs of eyes and even more disapproving whispers and frowning faces watched the aloof and haughty man holding his wife’s hands and eyes in the rhythm of the music. For the couple, however, nothing mattered except each other. Just as happened at the Netherfield Ball, they felt alone in the room full of people, paying attention to nothing and no one and surrounded only by their love. From her seat, Lady Matlock observed the couple with mixed feelings; her amusement over her nephew’s changed behaviour matched her disapproval for his decision to dance the last set with his wife, after he had not danced at all the entire night. His manners could easily be considered offensive toward the other ladies and the host herself and threaten future invitations from influential persons of the Ton. The Countess of Wellford looked rather well humoured – perhaps due to the third glass of wine she was enjoying. “Upon my word, Darcy does not cease to surprise me; he seems a completely different man since he married,” Lady Beatrice whispered to her friend Lady Marianne, and the latter nodded with obvious disdain. Lord Matlock, his sons, Lord Pemberton and Lord Wellford only drank their brandy in silence, glancing at the dance floor from time to time. “Not that Darcy would care much about the acceptance of anyone outside his close family,” the Colonel whispered with a grin, grabbing another full glass while he watched his cousin lost in his wife’s bright eyes. Indeed, why would he care about anyone else besides the beautiful woman who obviously adores him and with whom he will go home soon? Darcy had always been a smart and decided man, nobody could deny that. And that night he had proved it once again. Before dawn, the ball ended and the Darcys eventually were able to take their leave. After a warm farewell from the Matlocks and their hosts, they were finally alone in the carriage. To Elizabeth’s surprise, Darcy sat on the opposite bench and only watched her without any other gesture. She held his eyes for a few moments, trying to hide her amusement. Elizabeth could see how he struggled to conceal the smile that was twisting his lips and to appear solemn. “I enjoy dancing too—with you.” His voice was solemn, and his eyes darkened. “I know that, as I enjoy dancing with you too,” she whispered, moving to his side. She gently touched his lips with hers. Her hand caressed his face, and she daringly deepened the kiss while he barely moved. She then placed herself on his lap, and her arms encircled his neck. With delight, he received her conscious attempt of seduction, caressing her warm body through the fabric of her gown. “I thought more of what will follow later…once we arrive home,” she replied daringly, and he withdrew a moment to look at her laughing, teasing eyes; then his hands cupped her face to savour the smile of her red lips. But that’s enough from me, what did you think of the excerpt? Did it meet your expectations for this book? And if this is an unknown book to you, did it make you curious? The giveaway is international and will end on the 12th of June. What a delightful,inticing and intriguing excerpt!! Just enough to whet your appetite for more!! Yes,I must admit to loving Lory’s writing style and am very much looking forward to reading her latest insight into the lives of ODC. Thank you Rota for this snapshot. Thank you Mary, glad you enjoyed it. Good luck with the giveaway! I had not heard of either Rainy Days or now The Rainbow Promise until your review of Rainy Days last Monday. I definitely want to read both now. I always like Mr. Darcy found it really stupid that married couples weren’t really allowed to dance together back then. Hi Amanda 🙂 – I am always very excited when more people discover my “old” Rainy Days ;-). Good luck in the giveaway, hope you will read the both. Sigh…that was lovely! So looking forward to reading this sequel! Will have to re-read ‘Rainy Days’! Definitely intrigued! I must know what happens next! Hope you will read it soon – good luck with the giveaway. Darcy and Elizabeth will set the ton on fire! Can’t wait to read this one. I so enjoyed Rainy Days! Thanks for your comment – and good luck in the giveaway. Love the excerpt! Must re-read Rainy Days prior to reading this!